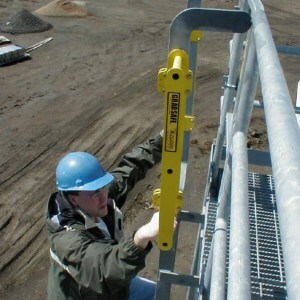 The ladder GrabSafe system is now available in Canada! 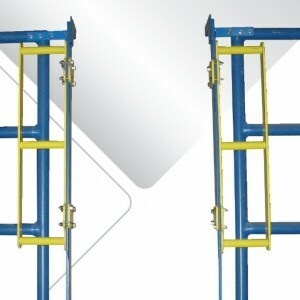 It adds horizontal grab-bars to the top stepthrough area of the ladder allowing a much more secure way to use the ladder where the regular rungs end. 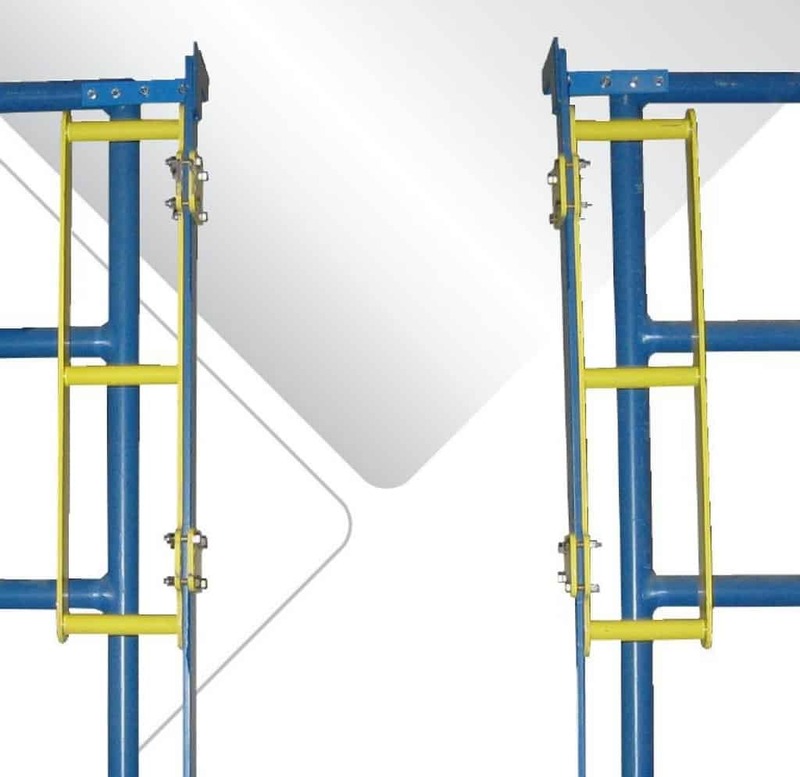 It consists of 2 grab-bars, one per side of the ladder and can be welded or bolted-on to the ladder and is available in a variety of finishes. We distribute this product to Canadian customers as well as USA customers. 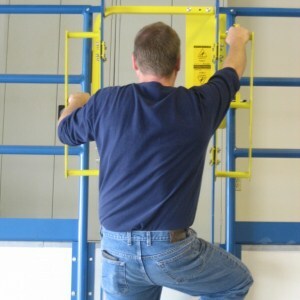 The grab-bars each feature 3 rungs, and are approximately 26” in length. Also available as a portable option to use with stepladders. Large rungs to continue ladder grips above ladder. Powder coated yellow, or unfinished raw steel available. Bolt-on or weld option for installation. Fits flat ladder rails up to 3” wide sidebars. 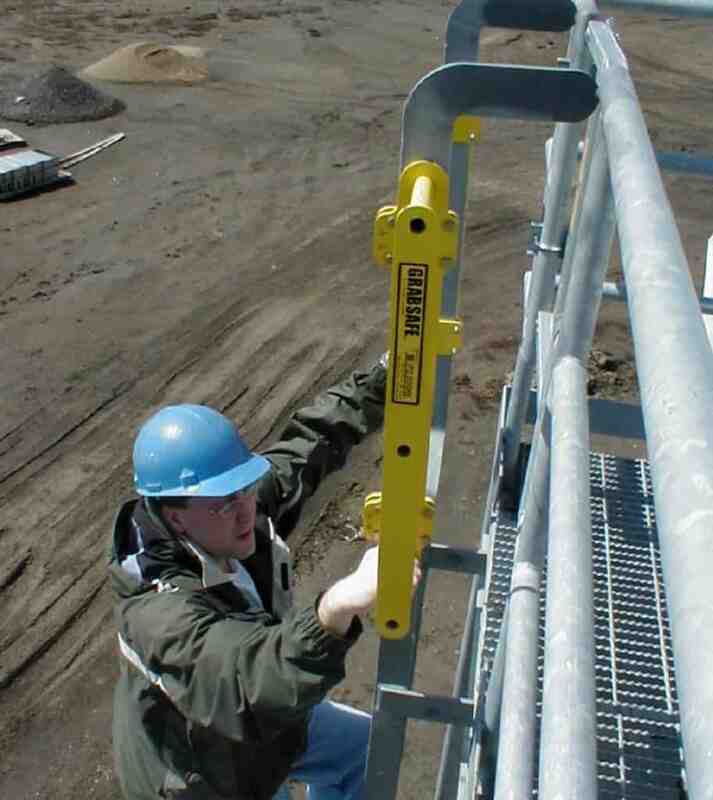 GrabSafe Portable is a ladder extension that mounts to the top of most extension ladders and provides extremely safe access to the roof and back onto the ladder. The rails extend 36" above the roof surface. 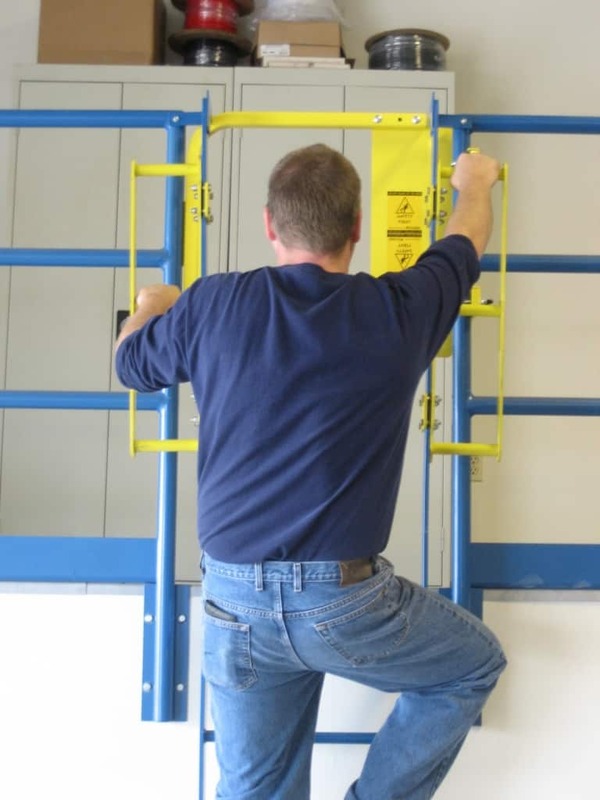 They are easy to attach or remove from a ladder and help maintain 3-point contact while using a ladder to access an upper roof. Weighs 12 lb each, or 24 lb per pair. Rubber pads to prevent sliding. 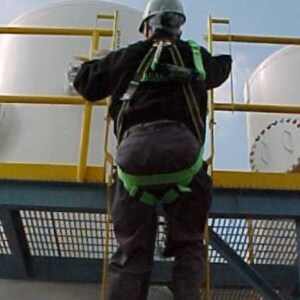 Makes transitioning from ladder to roof and back a much safer procedure. 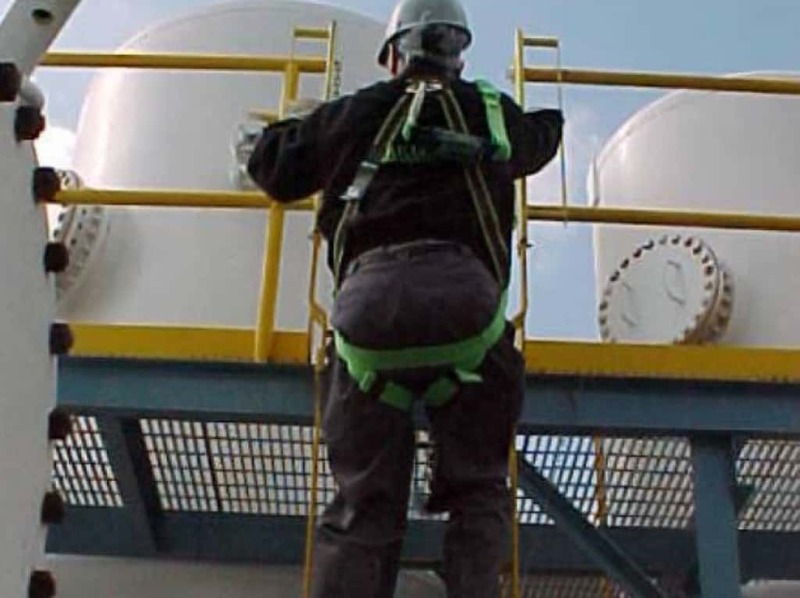 Access ladders have hidden dangers that can lead to severe consequences if fixed ladder fall protection requirements are not met.